120 starters aligned on national and regional teams with 44 classified finishers. 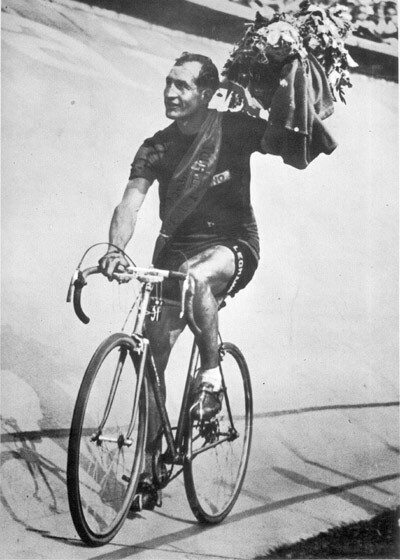 Gino Bartali won his second Tour 10 years after his first. 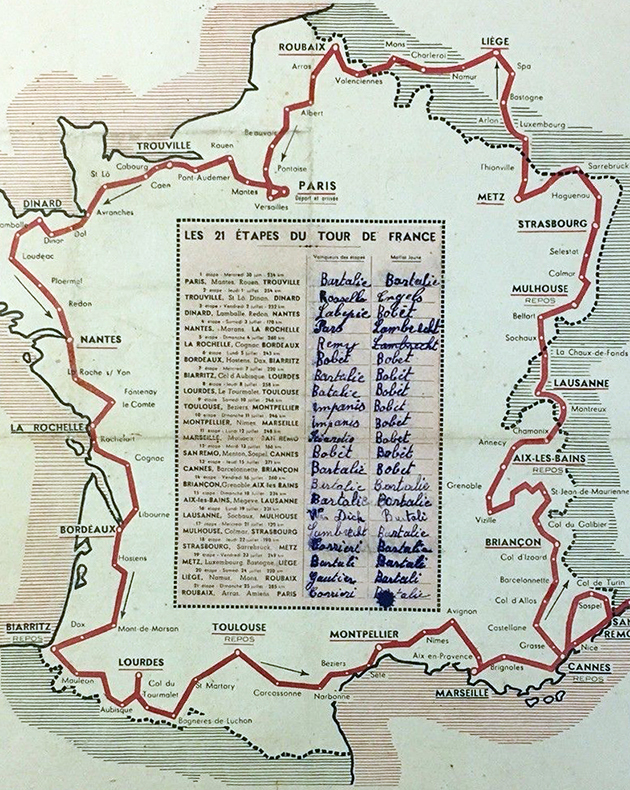 No other rider has such a long spread between victories and it is a testament to Bartali's enduring strength. 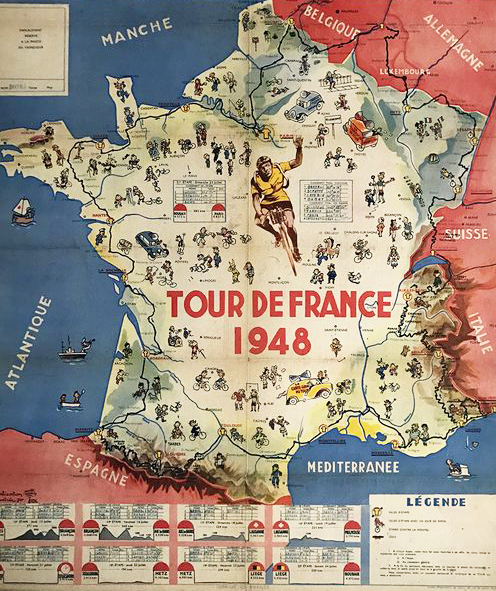 By the 12th stage, Bartali was down more than 21 minutes to French sensation Louison Bobet. In a series of brilliant alpine rides, Bartali simply crushed the competition. 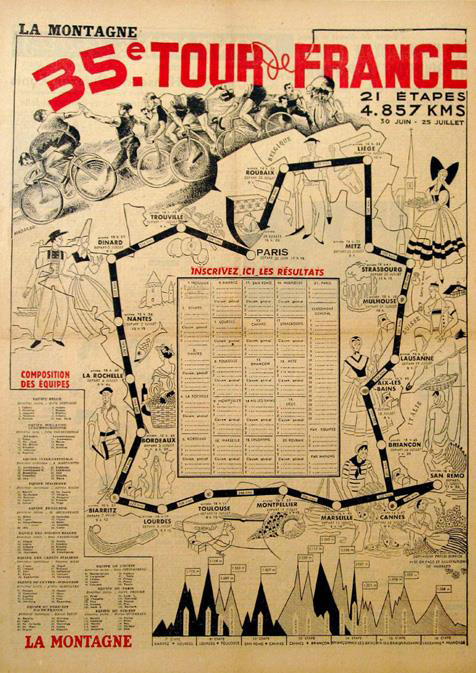 Bartali won 7 stages, the climber's competition and the General Classification. 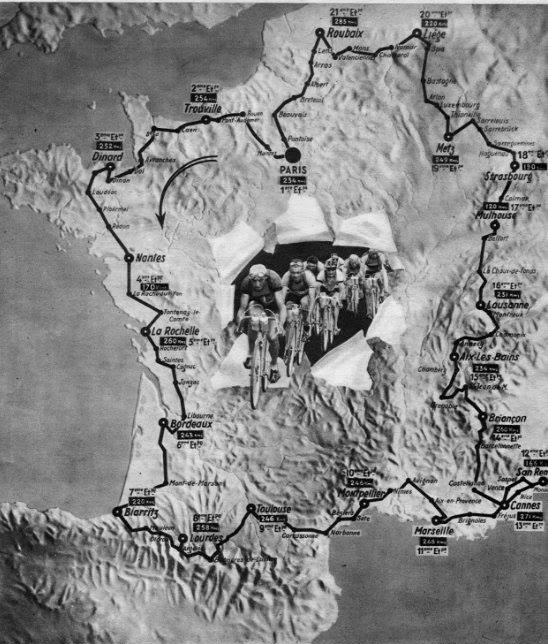 Stage 16: 100 meters from the crest of the Vue des Alpes, Bartali jumps and is first to the top. 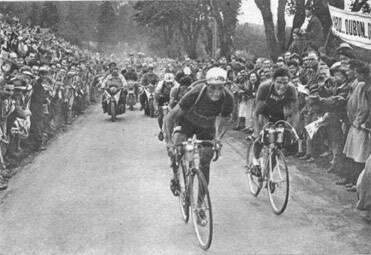 Gino Bartali savors his 1948 Tour win.